Entity recognition or extraction is a key task in natural language processing and one of the most common uses for knowledge bases. Entities are the unique, individual things in the world, and are also sometimes used to characterize some concepts . 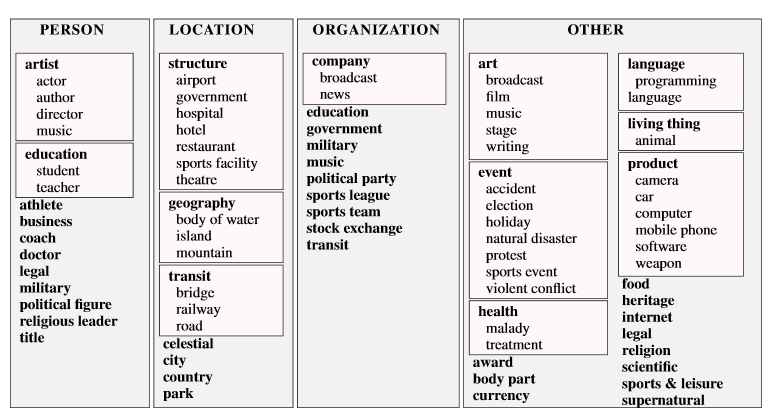 Context plays an essential role in entity recognition. In general terms we may refer to a thing such as a camera; but a photographer may want more fine-grained distinctions such as SLR cameras or further sub-types like digital SLR cameras or even specific models like the Canon EOS 7D Mark II or even the name of the photographer’s favorite camera, such as ‘Shutter Sue‘. Capitalized names (as is the reference source for named entity recognition) often signals we are dealing with a true individual entity, but again, depending on context, a named automobile such as Chevy Malibu may refer to a specific car or to the entire class of Malibu cars. The “official” practice of named entity recognition began with the Message Understanding Conferences, especially MUC-6 and MUC-7, in 1995 and 1997. These conferences began competitions for finding “named entities” as well as the practice of in-line tagging . 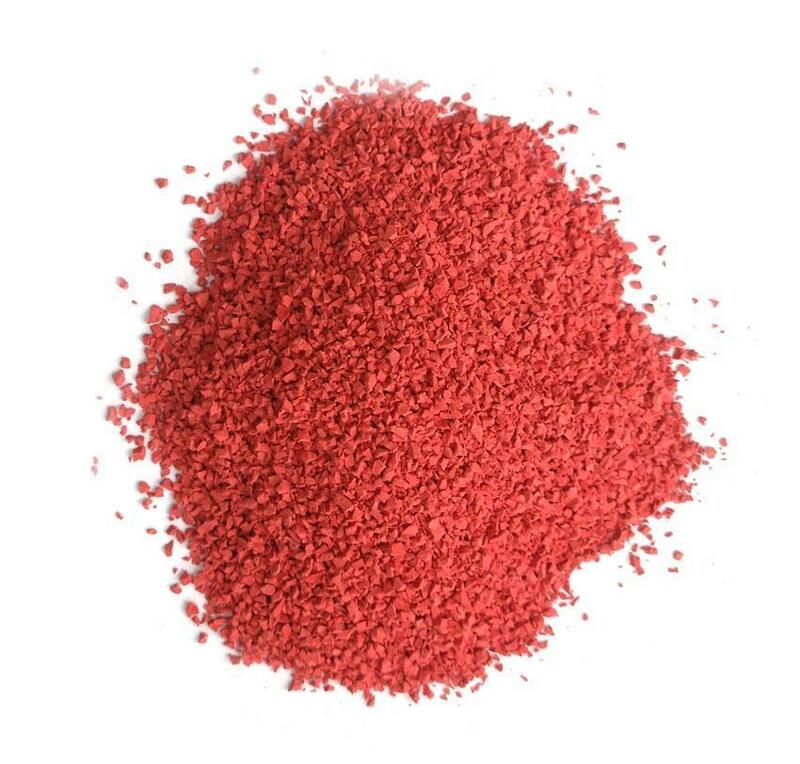 Some of these accepted ‘named entities‘ are also written in lower case, with examples such as rocks (‘gneiss’) or common animals or plants (‘daisy’) or chemicals (‘ozone’) or minerals (‘mica’) or drugs (‘aspirin’) or foods (‘sushi’) or whatever. Some deference was given to the idea of Kripke’s “rigid designators” as providing guidance for how to identify entities; rigid designators include proper names as well as certain natural kinds of terms like biological species and substances. Because of these blurrings, the nomenclature of “named entities” began to fade away. Some practitioners still use the term of named entities, though for some of the reasons outlined in this paper, Structured Dynamics prefers simply to use entity. Much has changed in the twenty years since the seminal MUC conferences regarding entity recognition and characterization. We are learning to adopt a very fine-grained approach to entity types and a typology design suited to interoperating (“bridging”) over a broad range of viewpoints and contexts. Most broadly, the idea of fine-grained entity types has led us to a logically grounded typology design. These ideas of extended entity types helped inform a variety of tagging services over the past decade, notably including OpenCalais, Zemanta, AlchemyAPI, and OpenAmplify, among others. Moreover the research community also expanded its efforts into more and more entity types, or what came to be known as fine-grained entities . These efforts are also notable because machine learners have been trained to recognize the types shown. What entity types are covered, the different conceptions of the world, and how to organize entity types varies broadly across these references. In Structured Dynamics’ own work, we have mapped the UMBEL knowledge graph against Wikipedia content and found that 25,000 nodes, or more than 70 percent of its 35,000 reference concepts, correspond to entity types . These mappings provide typing connections for millions of Wikipedia articles. The typing and organization of entity types thus appears to be of enormous importance in modeling and leveraging the use of knowledge bases. This growth in entity types comes from wanting to describe and organize things with more precision. Tagging and extracting structured information from text are obviously a key driver. Yet, for a given enterprise, what is of interest — and at what depth — for a particular task varies widely. The fact that knowledge bases, such as Wikipedia (but, the lesson applies to domain-specific ones as well), can be supported by entity-level information for literally thousands of entity types means that rich information is available for driving the finest of fine-grained entity extractors. To leverage this raw, informational horsepower it is essential to have a grounded understanding of what an entity is, how to organize them into logical types, and an intensional understanding of the attributes and characteristics that allow inferencing to be conducted over these types. These understandings, in turn, point to the features that are useful to machine learners for artificial intelligence. These understandings also can inform a flexible design for accommodating entity types from coarse- to fine-grained, with variable depth depending on the domain of interest. We take a realistic view of the world. That is, we believe that what we perceive in the world is real — it is not just a consequence of what we perceive and can be aware of in our minds  — and that there are forces and relationships in the world independent of us as selves. Realism is a longstanding tradition in philosophy that extends back to Aristotle and embraces, for example, the natural classification systems of living things as espoused by taxonomists such as Agassiz and Linnaeus. Charles Sanders Peirce, an American logician and scientist of the late 19th and early 20th centuries, embraced this realistic philosophy but also embedded it in a belief that our understanding of the world is fallible and that we needed to test our perceptions via logic (the scientific method) and shared consensus within the community. His overall approach is known as pragmatism and is firmly grounded in his views of logic and his theory of signs (called semiotics or semeiotics). While there is absolute truth, it actually acts more as a limit, to which our seeking of additional knowledge and clarity of communication with language continuously approximates. Through the scientific method and questioning we get closer and closer to the truth and to an ability to communicate it to one another. But new knowledge may change those understandings, which in any case will always remain proximate. characteristic attributes, with some expressing the essence of what type of object it is. A natural classification system is one, then, that logically organizes entities with shared attributes into a hierarchy of types, with each type inheriting attributes from its parents and being distinguished by what Peirce calls its final cause, or purpose. This hierarchy of types is thus naturally termed a typology. An individual that is a member of a natural class has the same kinds of attributes as other members, all of which share this essence of the final cause or purpose. We look to Peirce for the guidance in this area because his method of classification is testable, based on discernable attributes, and grounded in logic. Further, that logic is itself grounded in his theory of signs, which ties these understandings ultimately to natural language. Unlike more interconnected knowledge graphs (which can have many network linkages), typologies are organized strictly along these lines of shared attributes, which is both simpler and provides an orthogonal means for investigating type class membership. Further, because the essential attributes or characteristics across entities in an entire domain can differ broadly — such as living v inanimate things, natural things v man-made things, ideas v physical objects, etc. — it is possible to make disjointedness assertions between entire groupings of natural entity classes. Disjoint assertions combined with logical organization and inference mean a typology design that lends itself to reasoning and tractability. The idea of nested, hierarchical types organized into broad branches of different entity typologies also provides a very flexible design for interoperating with a diversity of world views and degrees of specificity. The photographer, as I discussed above, is interested in different camera types and even how specific cameras can relate to a detailed entity typing structure. Another party more interested in products across the board may have a view to greater breadth, but lesser depth, about cameras and related equipment. A typology design, logically organized and placed into a consistent grounding of attributes, can readily interoperate with these different world views. The idea that knowledge bases can be purposefully crafted to support knowledge-based artificial intelligence, or KBAI, flows from these kinds of realizations. We begin to see that we can tease out different aspects of a knowledge base, each with its own logic and relation to the other aspects. Concepts, entities, attributes and relations — including the natural classes or types that can logically organize them — all deserve discrete attention and treatment. 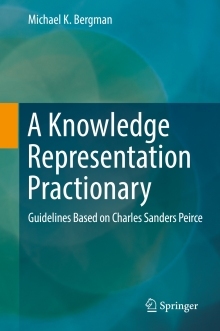 Peirce’s consistent belief that the real world can be logically conceived and organized provides guidance for how we can continue to structure our knowledge bases into computable form. We now have a coherent base for treating entities and their natural classes as an essential component to that thinking. We can continue to be more fine-grained so long as there are unique essences to things that enable them to be grouped into natural classes. The role for the label “entity” can also refer to what is known as the root node in some systems such as SUMO (see also http://virtual.cvut.cz/kifb/en/toc/229.html). In the OWL language and RDF data model we use, the root node is known as “thing”. Clearly, our use of the term “entity” is much different than SUMO and resides at a subsidiary place in the overall TBox hierarchy. In this case, and frankly for most semantic matches, equivalences should be judged with care, with context the crucial deciding factor. N. Chinchor, 1997. “Overview of MUC-7,” MUC-7 Proceedings, 1997. While all of these are indeed entity types, the early MUCs also tested dates, times, percentages, and monetary amounts. Ada Brunstein, 2002. “Annotation Guidelines for Answer Types”. LDC Catalog, Linguistic Data Consortium. Aug 3, 2002. See the Sekine Extended Entity Types; the listing also includes attributes info at bottom of source page. For example, try this query, https://scholar.google.com/scholar?q=”fine-grained+entity”, also without quotes. Xiao Ling and Daniel S. Weld, 2012. “Fine-Grained Entity Recognition,” in AAAI. 2012. Dan Gillick, Nevena Lazic, Kuzman Ganchev, Jesse Kirchner, and David Huynh, 2104. “Context-Dependent Fine-Grained Entity Type Tagging,” arXiv preprint arXiv:1412.1820 (2014). Christian Bizer, Jens Lehmann, Georgi Kobilarov, Sören Auer, Christian Becker, Richard Cyganiak, and Sebastian Hellmann, 2009. “DBpedia-A Crystallization Point for the Web of Data.” Web Semantics: science, services and agents on the world wide web 7, no. 3 (2009): 154-165; 170 classes in this paper. 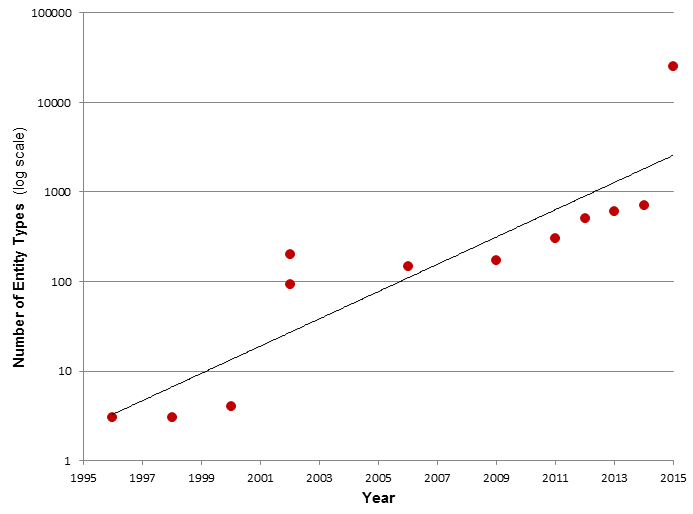 That has grown to more than 700; see http://mappings.dbpedia.org/server/ontology/classes/ and http://wiki.dbpedia.org/services-resources/datasets/dataset-2015-04/dataset-2015-04-statistics. The listing is under some dynamic growth. This is the official count as of September 8, 2015, from http://schema.org/docs/full.html. Current updates are available from Github. Joanna Biega, Erdal Kuzey, and Fabian M. Suchanek, 2013. “Inside YAGO2: A Transparent Information Extraction Architecture,” in Proceedings of the 22nd international conference on World Wide Web, pp. 325-328. International World Wide Web Conferences Steering Committee, 2013. Also see Mohamed Amir Yosef, Sandro Bauer, Johannes Hoffart, Marc Spaniol, Gerhard Weikum, 2012. “HYENA: Hierarchical Type Classification for Entity Names,” in Proceedings of the 24th International Conference on Computational Linguistics, Coling 2012, Mumbai, India, 2012. This figure and some of the accompanying text comes from a prior article, M.K. Bergman, “Creating a Platform for Machine-based Artificial Intelligence“, AI3:::Adaptive Information blog, September 21, 2015. M.K. Bergman, 2015. “‘Natural’ Classes in the Knowledge Web“, AI3:::Adaptive Information blog, July 13, 2015. See, for example, Menno Hulswit, 2000. “Natural Classes and Causation“, in the online Digital Encyclopedia of Charles S. Peirce. 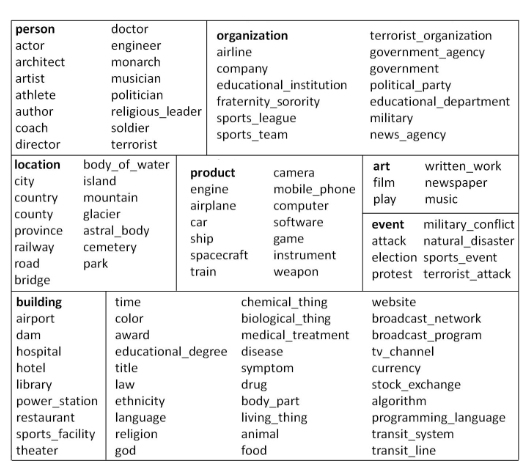 Entities can be organized into natural classes (or types) that themselves form typologies, which are flexible structures for interoperating across disparate datasets and domains. What these structures are and how they are built is the focus of this article.